Hotel Lake View - photo 1860's? 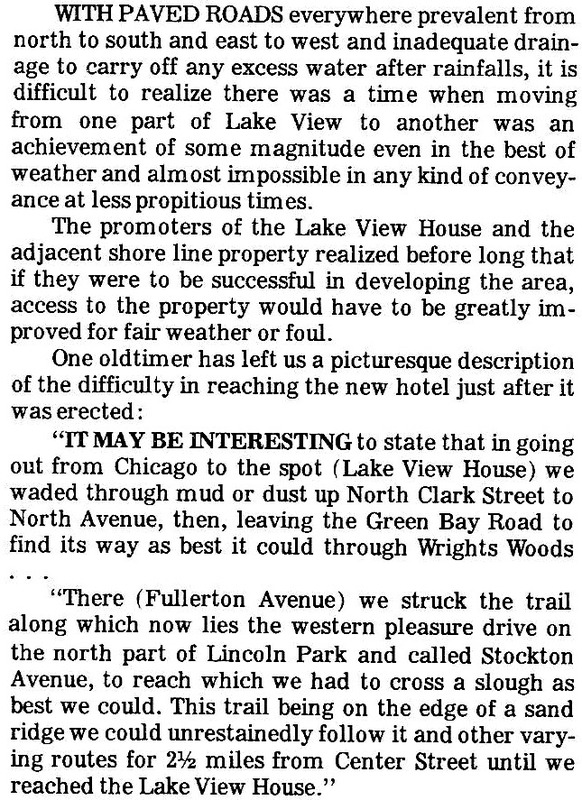 According the 1990 Chicago Daily News article the hotel was also referred to as the Lake View House. 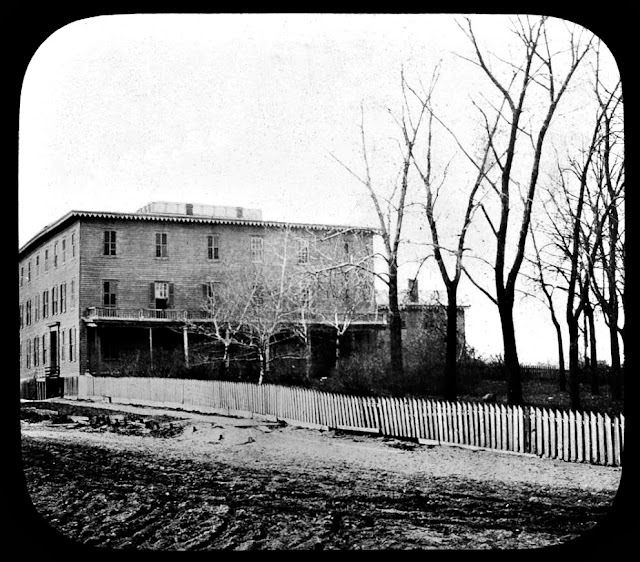 This 'Chicago escape' resort of sorts was erected in 1854 by real estate and surveyor James Rees and mega-landowner Elisha H. Hundley. 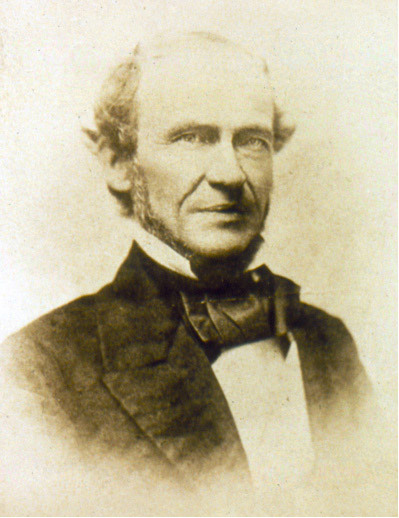 Legendary library founder and visitor Walter Newberry coined the lodge as 'The Lake View'. 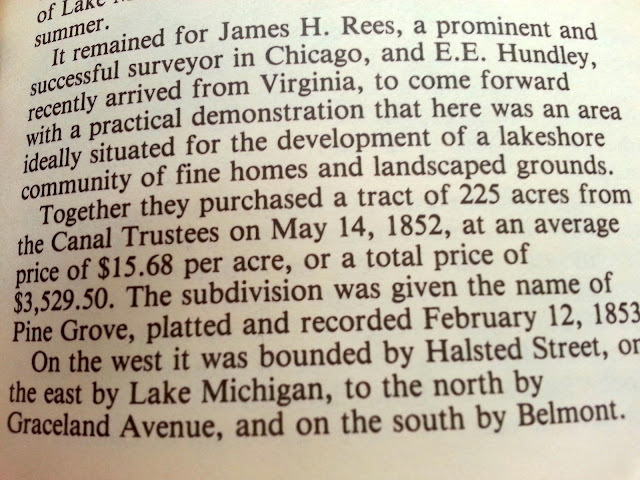 James Rees began investing in the township lakefront in 1852 subdividing his 225 parcels of property to Chicagoans. 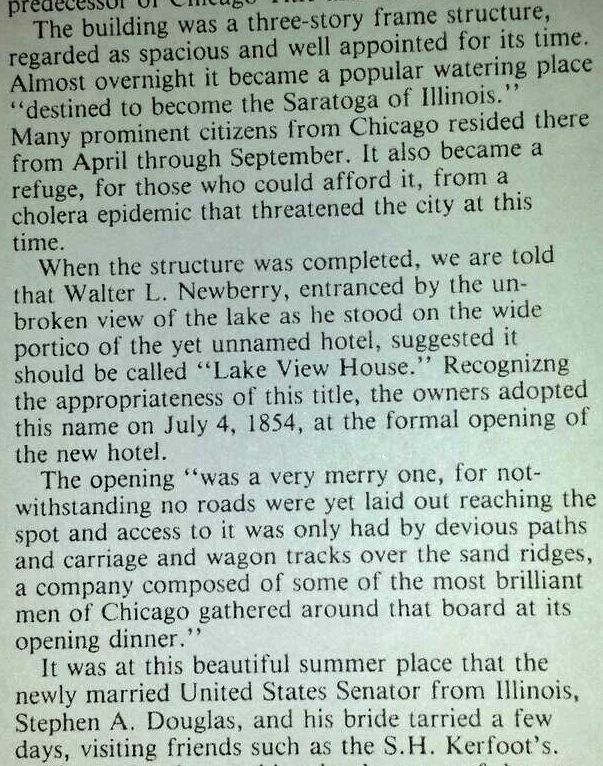 Visitor Walter Newberry who legendarily coined the old Huntley House Mr. Newberry stated that that this 'watering hole' had a unencumbered view of the lake and the lodge should be called ‘The Lake View House’ due to its unique location near the lakefront. 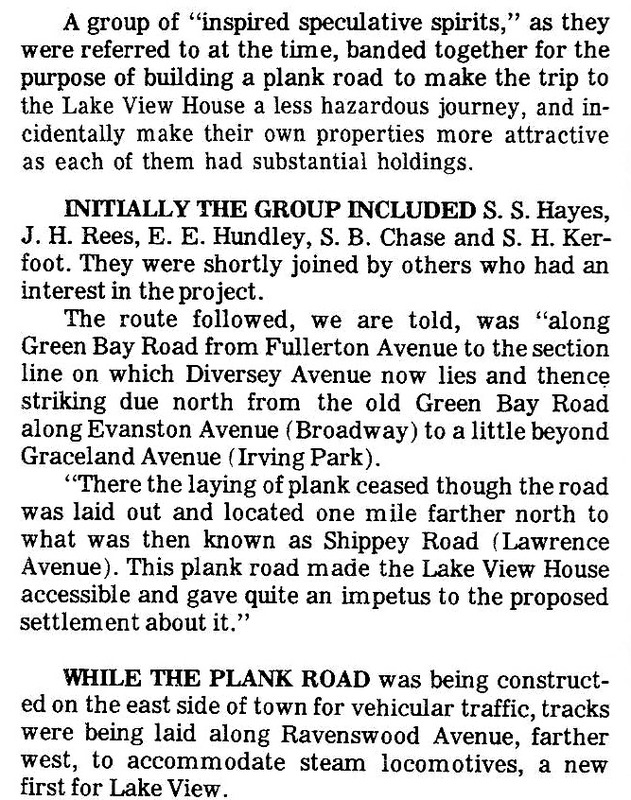 Apparently, the lakefront area was between Grace Street and the area just north of Irving Park Road along a cliff. 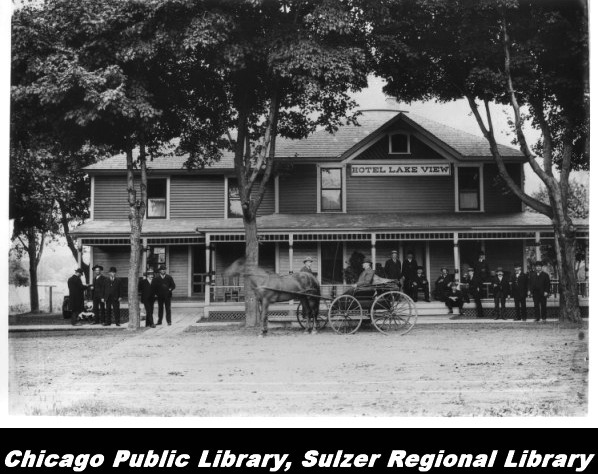 According to legend the name of Lake View caught-on and the community of Lake View was coined and later in 1857 a township established. Both Mr. James Ree and Elisa Hundley used their hotel to attract visiting land speculators and wealthy Chicagoans who wished to escape the social and legal restraints of city life. 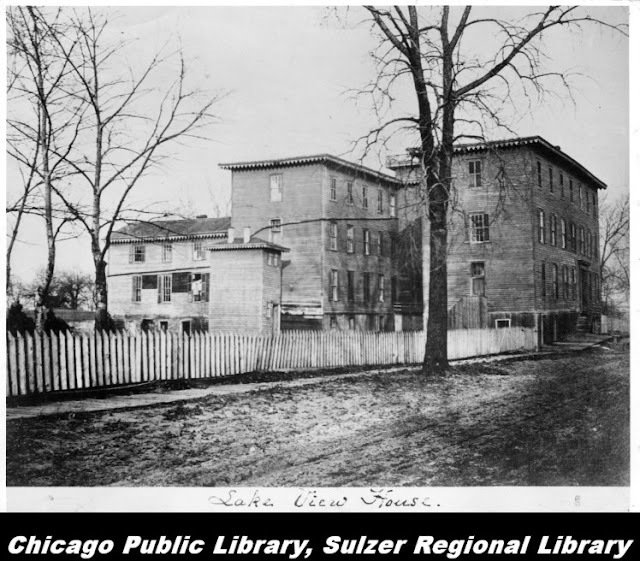 The building was apparently demolished by early 1890’s. 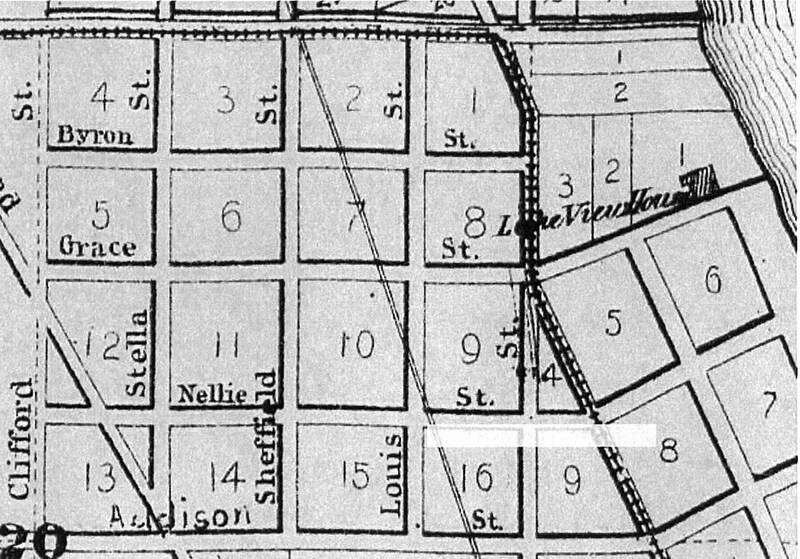 This is a 1869 map of the subdivision of Pine Grove and location of the namesake of the township that was owned by James Rees and Elisha Hundley. 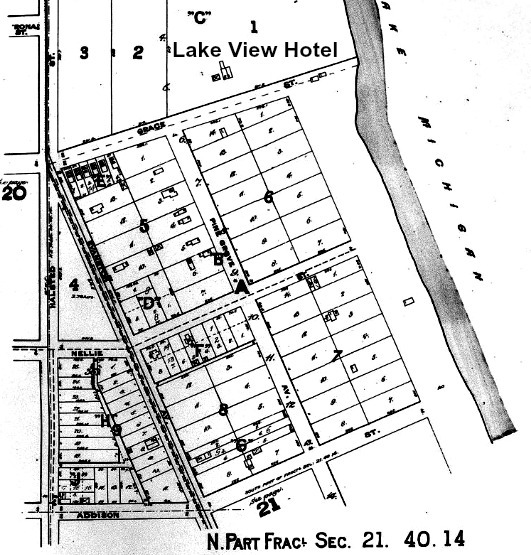 The Lake View House (tavern,resort,hotel) was located near the lakefront between Grace and Byron Avenues a 'stone throw' from the lakefront. 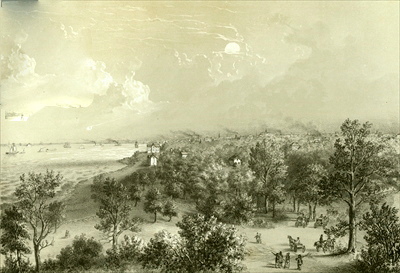 Apparently, this is a view looking south from roughly where Inner Lake Shore Drive and Grace intersect as of 1867 and probably drawn from the Lake View Hotel. 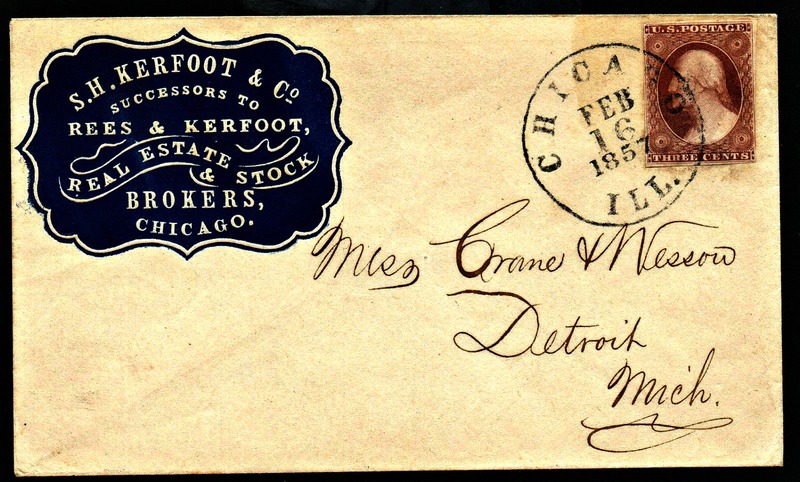 Fort Sheridan to the City of Chicago by the first quarter of the 20th century. 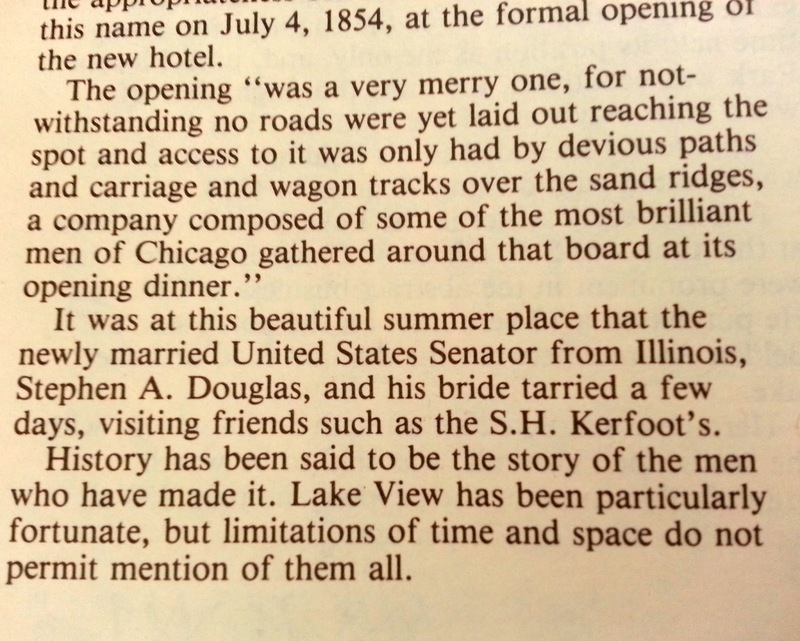 By the end of the century the old fort would become Town of Fort Sheridan. 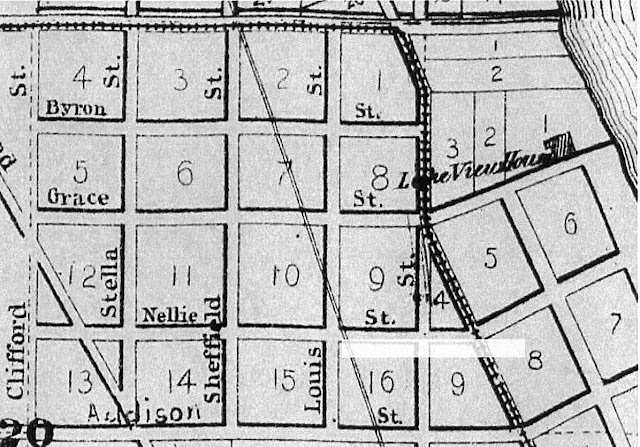 The hotel was located at this location prior to 1890. 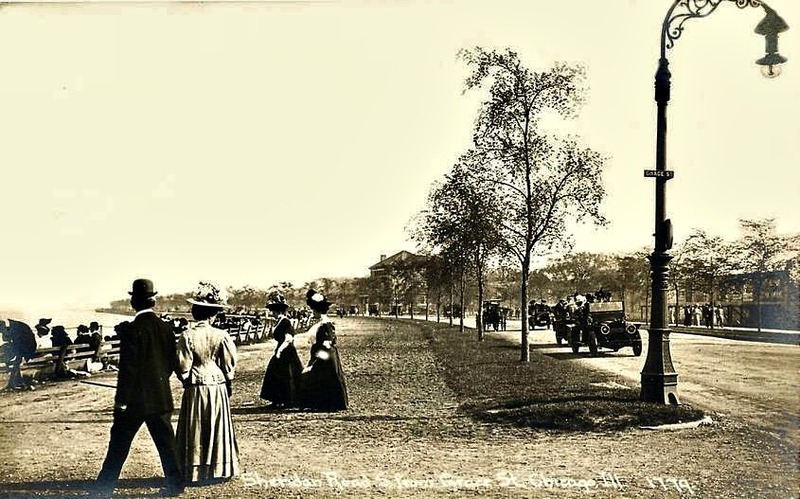 This roadway along the lakefront was to be originally called North-Lake Shore Drive but was renamed Sheridan Road in the mid 1890's after a general who served the City of Chicago after the 1871 Chicago fire. 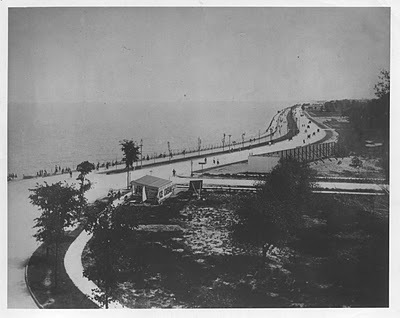 out-of-frame of this image ... 20 years earlier. 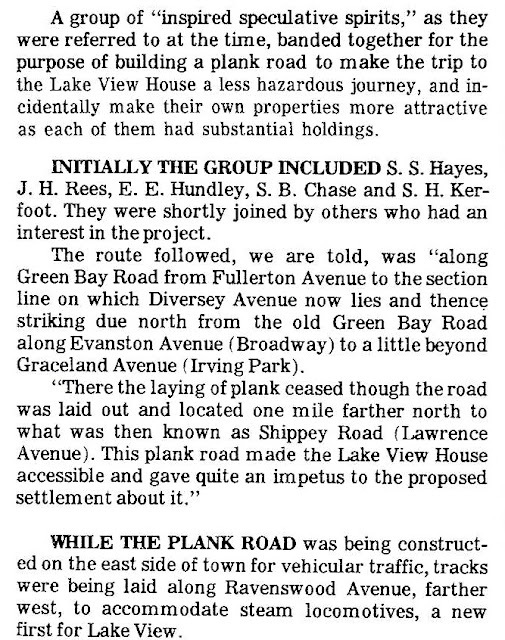 This segment of this roadway was renamed Lake Shore Drive in 1931. 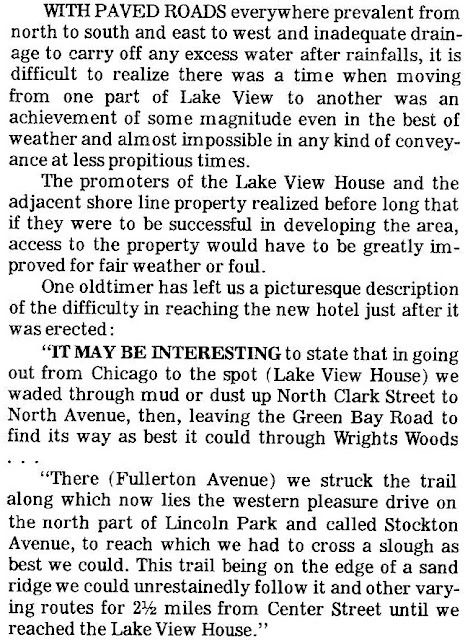 (Sheridan Triangle Garden) that would officially mark the location (along Grace Street between Pine Grove & inner Lake Shore Drive) of the hotel that helped give Lake View its name first as a township/city and then later finally a neighborhood.